In the binders in my office that are full of my family’s history, I keep lists of things to follow up on. Recently I checked something off the top of one such follow-up list that might help shed some light on what happened to my great, great-grandmother’s enslaved family. The Daily Picayune April 1, 1894 obituary for my great, great-grandfather, Col. W. R. Stuart stated that, “he was honored by the people of this city by his election as a member of the constitutional convention.” I always wanted to find some evidence of his attendance and assumed “this city” meant New Orleans where the paper was produced especially since New Orleans hosted a Constitutional Convention in 1864. But the obituary was only half right. Col W. R. Stuart did serve as a delegate to a constitutional convention in Louisiana, but in 1852 in Baton Rouge. (A google search I did a few weeks ago turned up an online copy of the document). That makes sense because Stuart was listed in the census in West Baton Rouge parish in 1850 as a planter with 59 slaves and real estate worth $20,000. He was still living in the region in 1853 judging from correspondences with his father. The 1852 constitution established a public works department and made some changes to the governor’s authority, but what most interests me about it is the list of other delegates. Of the 113 names listed at the end of the constitution, I recognized more than just the colonel’s. John L. Lobdell, W. T. Palfrey, and F.D. Conrad also stood out to me. Mother’s name was Eliza Burton, sisters, Nancy, Polly, and Liberia Burton. I had a brother Albert Burton who died, and two aunts, Peggy Manrow and Bettie Matthews. My mother, sister, Nancy, Bro. 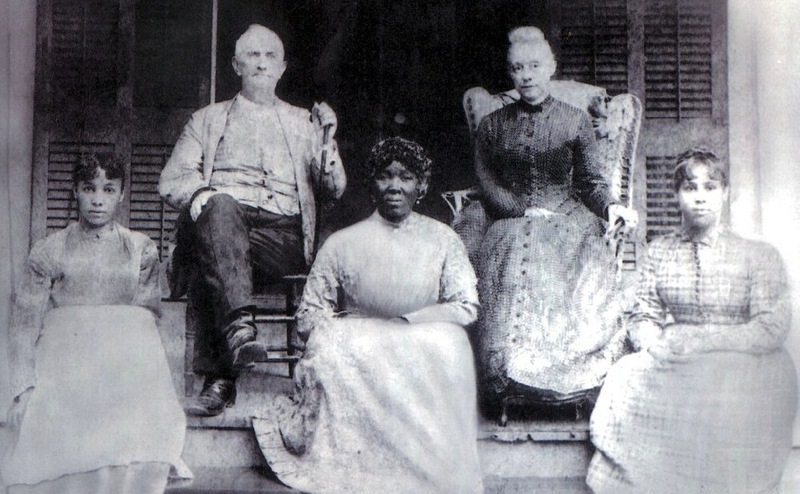 Albert, aunt Bettie and aunt Peggy lived on the same plantation and belonged to Dr. Stirling’s people. Liberia and Polly belonged to Dr. Robert Hilyard. Liberia was salivated when a child. I left them in Attakapas, LA. The Stirlings were big time Louisiana planters. William Stirling had a plantation in St. Mary parish, part of the Attakapas region. The family also had a plantation named Attakapas. Stirling’s sister, Ann was married to John L. Lobdell. William Taylor Palfrey was also a wealthy planter in St. Mary Parish, with a brother-in-law named F.D. Conrad. Palfrey’s son, Frederick, married William Stirling’s daughter, Mary. Mary’s brother, another St. Mary parish resident, was Dr. Ruffin Gray Stirling, aka Dr. Stirling. The way I see it, that makes William Taylor Palfrey, F.D. Conrad, and John Lobdell part of the web of Dr. Stirling’s people. Are any of them the people that Tempy was referring to? 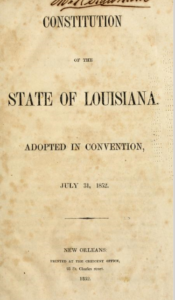 Could a list of names of representatives to Louisiana’s 1852 constitutional convention lead me to Tempy’s lost family?